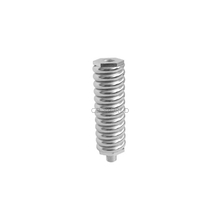 Accessories Unlimited AUSS3H heavy duty stainless steel spring is an antenna accessory that CB World highly recommends for any mobile radio antenna! Protect your antenna, mount, and vehicle body from damage, if the antenna strikes an immovable object. Why risk snapping off your high quality CB or ham antenna, leaving you without radio communications? Be sure to add an antenna spring that matches your antenna size and type to your mount. The low investment and simple SWR tuning with a high quality spring are cheaper than buying and re-tuning a brand new antenna setup. AUSS3H heavy duty stainless steel springs are designed for use with any 3/8" x 24 threaded CB antenna up to 5 feet tall. For 2 foot CB antennas, or light 3 foot antennas, (such as the Firestik Firefly or Wilson Flex antennas), use of a medium duty spring is recommended. 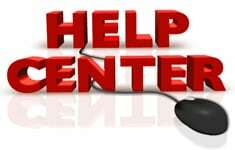 For complete and detailed information on CB antenna springs visit CB World's help center!